I recently crocheted this sweater as a birthday gift for a family member and I’m fairly pleased with the way it turned out. Someday, when I can afford to spend about $120 on really nice yarn, I would like to try making this sweater using the Berroco Borealis yarn recommended in the pattern. 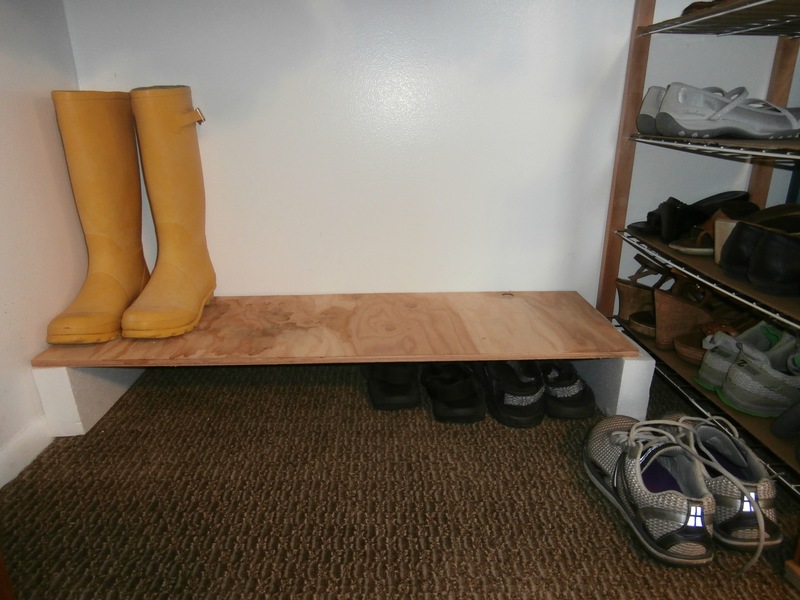 However, in this case, I took the extreme economical route and used Lion Brand Homespun yarn as a substitute chunky yarn. Because the Lion Brand Homespun yarn happened to be on sale after Christmas at my local JoAnn store, I ended up spending only $20 for the 5 skeins of yarn it took me to complete this project. 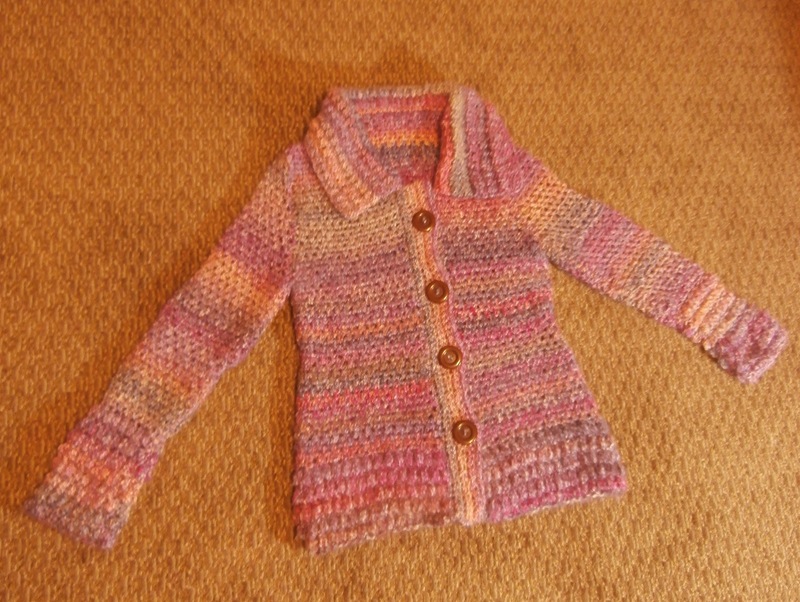 The four buttons cost about $5, so the total cost of materials for this sweater was about $25. As an added bonus, the gauge of the test swatch I made with the Lion Brand Homespun yarn matched the pattern’s gauge perfectly and required no adjustment in crochet hook size. For me, the year 2013 was filled with change and an unusual mix of good and not-so-good happenings. Because of the change and the not-so-good happenings, I’m glad to bid farewell to 2013 and turn my face toward good things in 2014. However, if all things are not good in 2014—and surely they won’t be—then this poem reminds me that I can benefit and learn even from the hard things that 2014 might bring. who learn to walk beneath a weight. 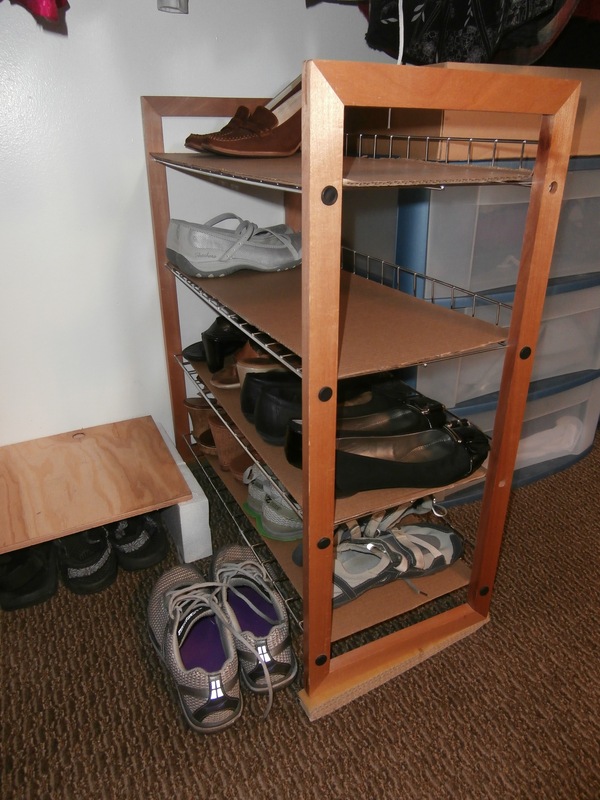 The other day, I used the cardboard and styrofoam packaging from some of my Christmas packages to improve my shoe rack. 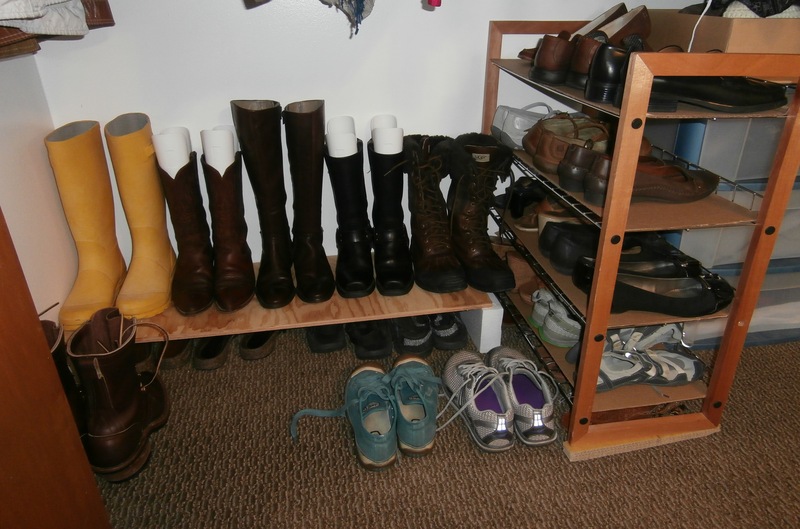 Now the heels on my heels don’t fall through the wire shelves and I have some extra space undereath the board and the shoe rack to store my summer sandals.